Mock trials are the most efficient way to test your message and powers of persuasion, allowing you to refine and practice your advocacy skills while simultaneously testing the impact of witnesses and experts on jurors. 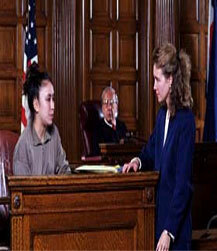 Mock trials also provide an opportunity for your client and witnesses to become more comfortable giving testimony while revealing holes and weaknesses in evidence that can be corrected prior to trial. Like our focus groups, we use a mock trial model that preserves our findings, which gives you immediate feedback throughout the mock trial day, and allows time for reformatting evidence presentation in order to provide you with a trial plan that works.